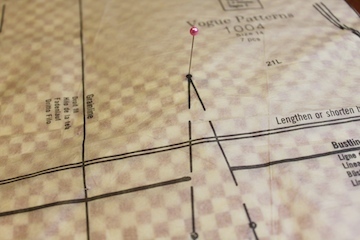 In this tutorial "how to sew a pleat", a washable marker was used. Just a dab of water, and the ink disappears. 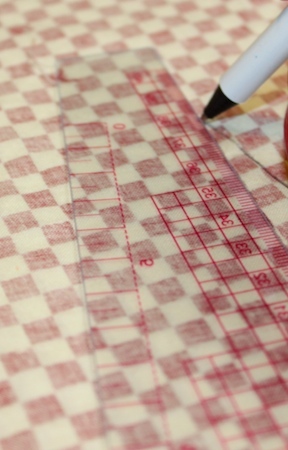 Since pleats are usually front and center, make sure what ever you mark them with is washable. Darts can be done using this same technique. Mark each little black circle on the dart the same way as the first.. 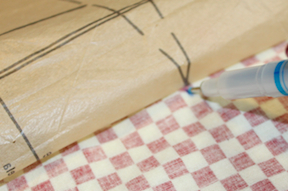 In this example there is a cardboard table top under the fabric, which helps to hold the pin in place when poking through each of the layers. Push the marker up to the pin and mark. Even a piece of cardboard would help. 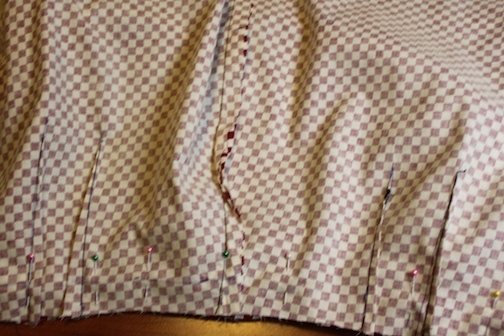 Once the dots have been connected, press the pleat closed, lining up both sides of the pleat, and sew as shown here. Bac to Top "How to Sew a Pleat"